Posters and cardboard cutouts featuring Piers Morgan will promote the Burger King fragrance and 'Flame' will be launched in Selfridges on Oxford Street (London) today. The Burger King fragrance will then be available for £4.99 in Selfridges, Red5 and selected branches of Burger King. 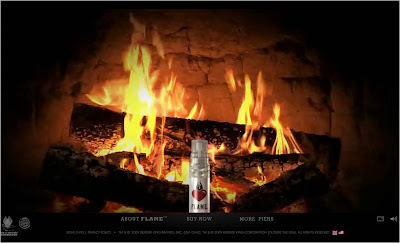 According to the Guardian, Flame sold out in 4 days when it launched in the US last year - I'll be heading to Selfridges today to try and get some - who knows?! That was look fun the fragrance of this was so interesting. Keep posting! He looks adorable and cute! I hope this perfume is available online. book stores across the world.